Virtual reality and mobile technology are leading the way for immersive sound experiences, but a lack of standard might be holding widespread adoption back, writes Erica Basnicki. Experiments in immersive audio have been around since the early 1930s, when Alan Blumlein figured out that listening to two audio channels was much better than one. Yet it has taken the better part of a century for it to capture the imagination, and the ears, of the masses. Before we continue, a point of order: defining immersive audio. 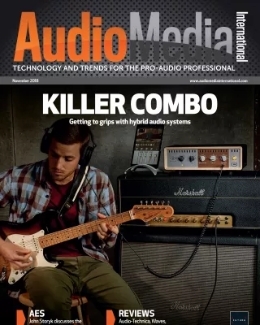 For now, and for the sake of this article, ‘immersive’ audio includes object-based, channel-based and scene-based audio. In other words, sound in space – regardless of how that’s achieved. The definition itself hasn’t slowed its adoption. A lack of a technical standard, however, has (but more on that later). The confusion is partly born of a heated competition for surround sound supremacy in the cinemas between Dolby Atmos, Auro 3D and the recently released DTS-X. At least, the cinema experience is probably the one most associated with surround sound technology. Where the actual demand for immersive audio is increasing is, according to many, from another entertainment sector entirely. Both Google and Facebook have plunged headfirst into the world of virtual reality (VR). The former with Google Cardboard, the latter having acquired Oculus in 2014. With two media giants heavily invested in its success, an explosion in VR entertainment isn’t far off. Two Big Ears was founded in 2013 by Nair and CEO Abesh Thakur (pictured above, left). The company designs immersive and interactive audio tools, among them the real-time 3D audio and environmental modelling engine 3Dception. Designed with VR and game audio applications in mind, 3Dception recently powered the audio for Björk’s groundbreaking video for Stonemilker. It’s the first official single from her most recent release, Vulnicura, shot on a desolate beach in Iceland using a 360º camera. In order to see the video, you would have had to attend one of the Rough Trade launches held in New York and London, or the exhibition at the MoMa PS1 in Long Island City. 3Dception is also in place for the ongoing retrospective of Björk’s (mid-) career held at the Museum of Modern Art in Manhattan, Songlines. As part of the exhibition, Songlines presents an avant-guard audio tour of sorts; a location-based augmented audio experience that runs off an iPod touch. Back on this side of the Atlantic, Heaven 17’s Martyn Ware has been in the business of immersive audio for the past 15 years. In 2000 he and former Erasure keyboardist Vince Clarke formed Illustrious, and along with it developed their own three dimensional sound technology, the 3D AudioScape surround-sound system. As Ware explains, demand for their work remained steady until the hugely successful Tales of the Bridge in 2012, which transformed London’s Millennium Bridge into one giant 3D sound installation. Since then, interest in Illustrious’ work has risen, and Ware is particularly excited about an upcoming project in Liverpool. From 15 May until 5 July, the Liverpool ONE shopping centre on South John Street will surround visitors with the sounds that recall the special relationship between Liverpool and New York, in celebration of the 175th anniversary of the first Cunard transatlantic sailing. 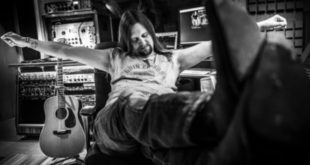 As both a successful music producer, and a 3D sound enthusiast, Ware is in a somewhat unique position to assess the potential of immersive audio to cross over to the wider music industry. Björk’s VR experiments aside, can we expect more immersion from our music? 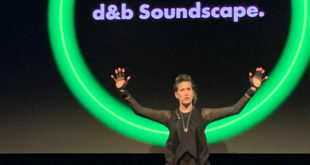 “I believe in 3D sound, and it wouldn’t be terribly difficult for us to release something in a binaural format. But you’ve got to look at it from the point of view of what is the actual benefit to Heaven 17. Yes, people might say ‘yeah, that’s cool’ but really it needs a whole swathe of people, or somebody much more popular than us to do it. Otherwise it’s just a curio,” says Ware. As early adopters of the new medium, both Two Big Ears and Illustrious have had to develop the immersive audio technology in-house. This is becoming less of an issue for content creators as major DAW manufacturers recognise the need for such tools. 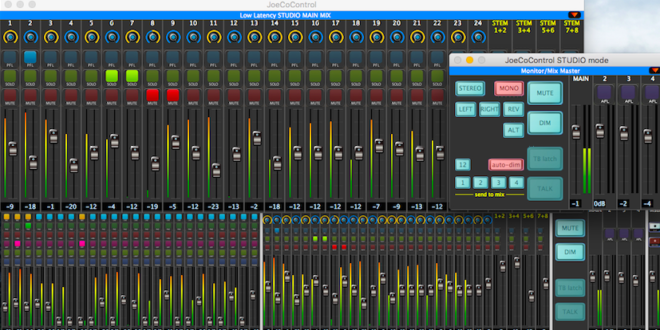 Last year, Fairlight launched 3DAW, the company’s 3D audio workspace. Designed for film and television post-production markets, 3DAW supports object-orientated audio such as Dolby Atmos and DTS MDA, as well as fixed bus formats from 5.1, Auro-3D all the way up to NHK’s 22.2 format. It’s a large number of formats to embrace. Surely we’d be better off with just one? 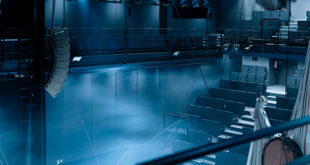 Live immersive audio is an area global technology company Barco is keen to develop further. 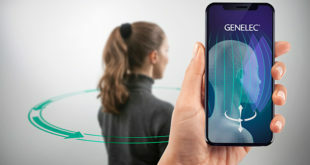 As the drivers of Auro 11.1 technology, the company upped its immersive game with the acquisition of 3D audio experts Iosono in late October 2014. Prior to the acquisition, Iosono’s spatial audio processor had already been central to the world’s first 3D opera, Neither, as well as Kraftwerk’s Catalogue 12345678 2013 concert series in Tate Modern’s Turbine Hall. The company also had a hand in MoMA’s ‘Björk’, where another video – Black Lake – used the Iosono CORE audio processor and 49 speakers by Bowers & Wilkins to engulf a specially built room with sound. Despite its success with live immersive sound, Brian Claypool, Barco’s senior director of strategic business development, sees momentum building in mobile technology. While companies such as Fairlight see competing formats as a sign of healthy demand, others see a lack of an open standardised format as an anchor holding back a widespread adoption of immersive audio. In terms of mobile entertainment, that standard has already arrived. 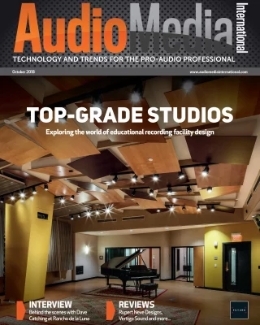 In March of this year, the Audio Engineering Society established the AES69-2015 standard which, according to the website, “provides an important framework for the growing binaural and 3D personal audio industries”. The question of a cinema standard was also addressed at the 57th AES Conference on the future of audio entertainment technology, which included a discussion chaired by SMPTE’s Brian Vessa. An August 2014 SMPTE newsletter notes that Peter Ludé, chair of the SMPTE Working Group on Immersive Sound, is “hopeful a standard will be ready or close to ready for publishing before late 2015. 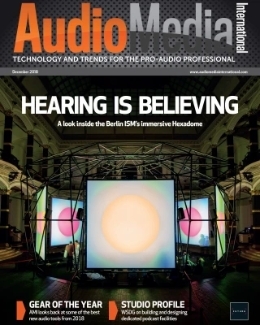 Look out for a report on last month’s BBC Sound: Now and Next event, where immersive audio was a major talking point, in the June issue of Audio Media International.